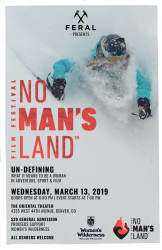 Join FERAL and Women's Wilderness as we welcome No Man's Land Film Festival to Denver for the second year! The night will be a celebration of women creating adventure in the Front Range and beyond. 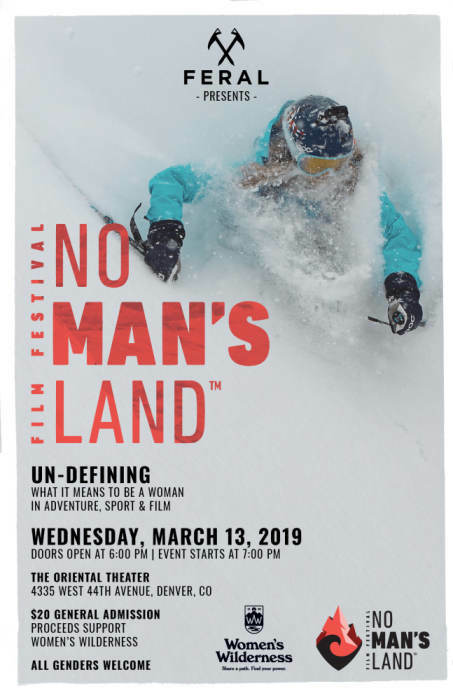 No Man's Land Film Festival is an all-woman adventure film festival based out of the Rocky Mountains of Colorado aims to un-define feminine in adventure and sport through film while connecting women in pursuit of the radical. Tickets are $20 and all proceeds will benefit Women's Wilderness. We have a star-studded panel lined up that will lead a discussion prior to the film screenings. People of all genders, backgrounds, identities and experience levels welcome! For more information and a sample of the films we will be showing check out: http://nomanslandfilmfestival.org.